Cool name, eh? For those of you that have not heard of Steeda, let me enlighten you. 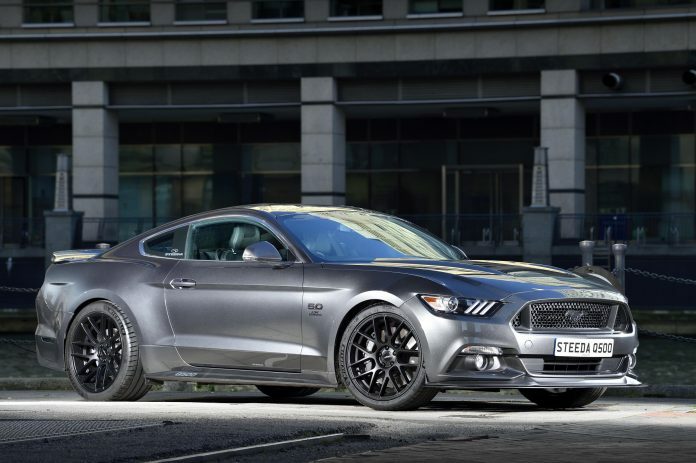 It is the world’s largest privately-owned Ford performance-based specialist, and this is the brand’s latest product – the Q500 Enforcer Mustang. Based on the latest Mustang, the Q500 has been given both performance and styling enhancements for those looking for something a bit more than the standard GT model that Ford is able to offer you. This means increased power from the 5.0 litre V8 engine, but as the name may suggest, it’s not 500bhp. Instead, it’s 480bhp, which should more than plenty for most drivers, and that’s still 70bhp more than what the standard engine would offer you. As well as packing more horses in its stable, the Steeda team has revised the chassis and added adjustable suspension, which has been tested at the brand’s test track in Georgia as well as Sebring and Homestead Miami. The car has been lowered too, giving it a meaner stance as well as offering an improved turn-in when cornering. On top of these changes, the Enforcer – I’ll never got bored of saying that – has revised engine mapping to give a better throttle response and a custom exhaust has been fitted so the V8 can howl to its heart’s content. Let’s just hope this Mustang still has the ‘Good Neighbour’ mode fitted. Although the Q500 Enforcer has been giving some style enhancements, you could be fooled in to thinking it’s a standard Mustang at first glance. Look a bit closer and you’ll spot satin black alloys that are 20″ compared to the 19″ ones that would normally come as standard. Despite the increase in size, they weigh the same as the standard alloys, and these are shod in Michelin tyres. 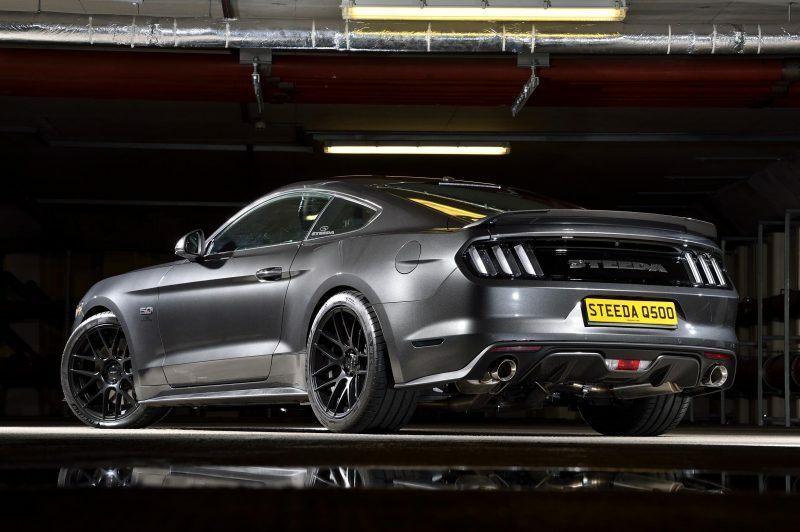 At the front, you’ll spot the discrete splitter, which has been developed Steeda’s race Mustang and at the rear there is a polyurethane duck tail to help provide stability without affecting vision out the rear window. In the cabin Steeda sill trim finishers and there is a build plate is installed as well to show its exclusivity. 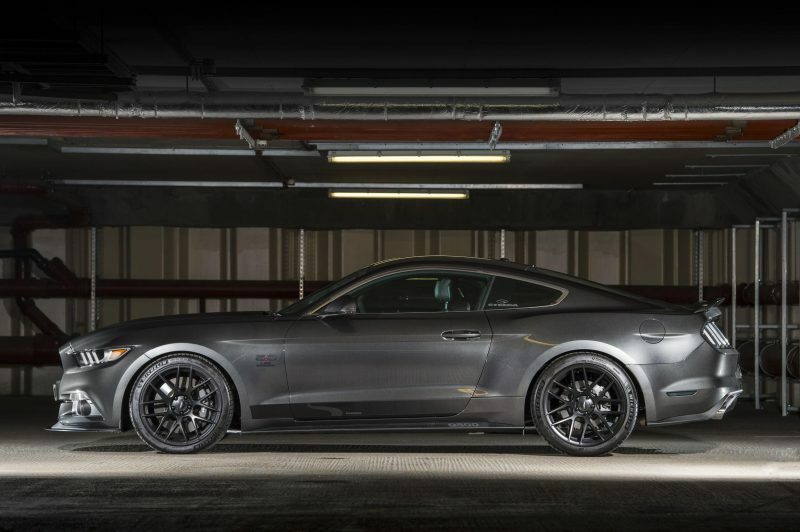 If you’re looking to splash out on the Q500 Enforcer Mustang, you’ll need the standard £38,095 for the GT model, but you’ll need an additional £8,998 for the Steeda additions. 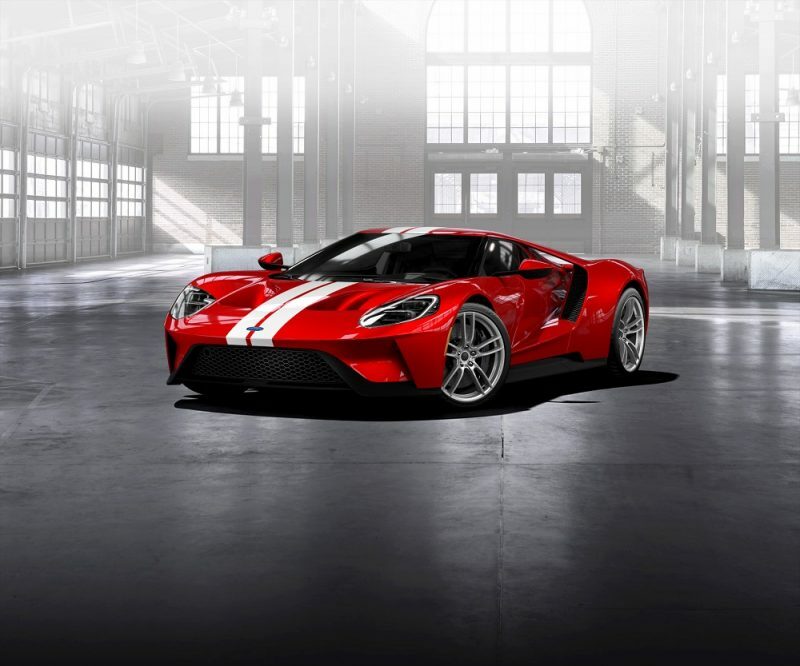 This can be ordered now, from Ford dealer Haynes of Maidstone, Kent. All turnkey Steeda cars come with a comprehensive factory warranty.